A Historic & Charming Turn-of-the-Century Resort. Siebkens is a landmark, turn-of-the-century resort purchased by Laura and Herman Siebken. Currently owned and operated by the fourth generation of the Siebken family. Guests will find relaxed surroundings, abundant with antiques, interesting people, great conversation, innovative cuisine and exciting night life. The newest addition to Siebkens has been the Lakeview Condominium Hotel building. It is perfect for people who appreciate modern conveniences combined with the grace and charm of years past. The Lakeview building has deluxe hotel rooms and one, two or three bedroom condominiums with open concept floor plans, private balconies with views of picturesque Elkhart Lake, fireplaces, and full kitchen and dining areas. Eclectic shopping, gourmet dining, exciting local pubs and a destination spa are only steps from your door! The resort also offers 30 attractive guest rooms located in two original Siebkens hotel buildings: The Elm Park and The Lake Cottage. Each room is eclectically decorated with a variety of sleeping options. Siebkens features two dining options: the historic Stop-Inn Tavern and the Main Dining Room. 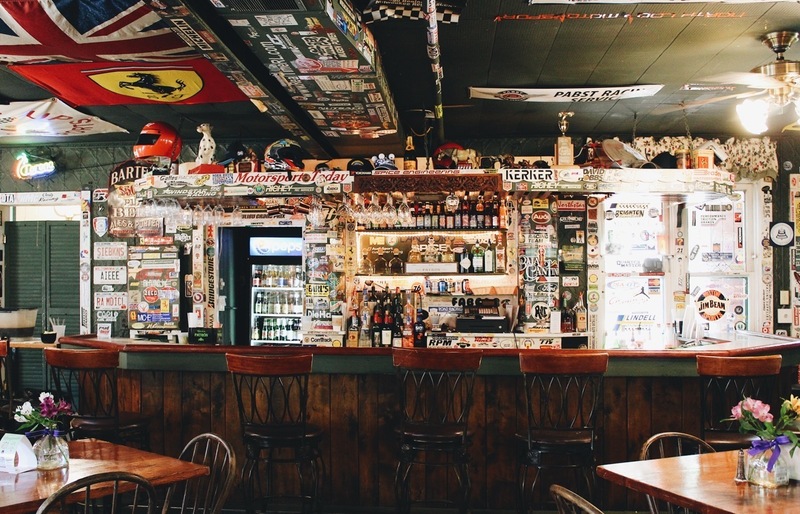 The Stop-Inn Tavern, touted as the “best bar on the racing circuit,” serves lunch and dinner daily. Diners can enjoy a gourmet selection of appetizers, soups, salads, burgers, wraps and entrees prepared with premium ingredients. The famous Siebkens Sandwich on homemade rye bread. Known for its inviting setting and live entertainment, the Stop-Inn Tavern is Elkhart Lake’s most popular evening gathering spot. The Main Dining Room, with its old world atmosphere, is often described as Elkhart Lake’s most beautiful venue. On major race weekends, it is also open for dinner with an extensive menu including traditional Siebkens family recipes. The Main Dining Room’s “Cocktail Bar” is Elkhart Lake’s best kept secret and serves specialty cocktails and wines by the glass. The Main Dining Room is the perfect setting for weddings, banquets, reunions or any special event. Relax on the private, sandy beach, lounge by the new outdoor pool, indulge at Sissy’s Coffee and Ice Cream Shoppe or dance to the music at the Stop-Inn Tavern.